Your opinion is important to us. 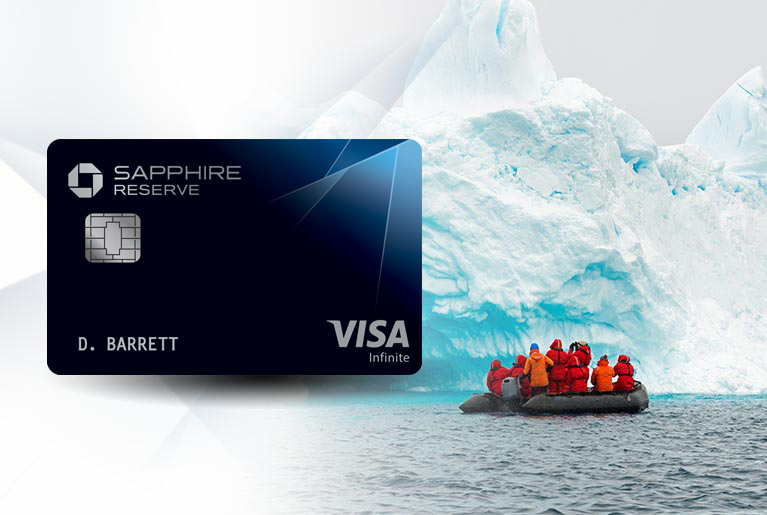 Rate the benefits and service of your card, and share your thoughts and personal experience. You can help us improve our products and services and help others find the card that best fits their needs. Click on stars to rate your card and its features. I have read and accept the submission terms opens in overlay. All submissions are subjected to the submission terms, not all ratings and reviews will be published. By publishing or submitting any materials to this Site, including, but not limited to, comments, messages, reviews, photos, videos, questions or other content ("Submissions"), you automatically grant Chase and its affiliated companies a worldwide, non-exclusive, perpetual, irrevocable, transferable, royalty-free, unconditional, fully paid right and license: (a) to make, have made, use, copy, reproduce, modify, and create derivative works of your Submissions, (b) to publicly perform or display, import, broadcast, transmit, distribute (directly and indirectly through multiple tiers), license, offer to sell and sell, rent, lease, or lend copies of your Submissions (and derivative works thereof), and (c) to sublicense to third parties the foregoing rights, including the right to sublicense to further third parties. Additionally, you consent to the use of your name, statements, photographs, videos, voice recordings and likenesses for publicity purposes, as well as any other purpose associated with this Site and agree that such grant and consent is without restrictions or additional compensation or permission of any kind. The taking up of arms against any person, government or entity or otherwise challenge or seek to overthrow any government. Content inconsistent with these Terms and Conditions. In addition, you represent and warrant that any submissions do not infringe on the copyrights, trademarks, rights of privacy, publicity or other intellectual property rights of a third party. If the Submission contains any material or elements that are not owned by you, and/or which are subject to the rights of third parties, you are responsible for obtaining, prior to submitting the Submissions, any and all releases and consents necessary to permit the use and exhibition of the Submission by Chase in the manner set forth in these Terms and Conditions, including, without limitation, name, and likeness permissions from any person who appears in or is identifiable in the Submission and any person who is shown in any video or photographs. Chase reserves the right to request proof of these permissions in a form acceptable to Chase from you at any time. Failure to provide such proof, if requested, may render the Submission null and void. By submitting a Submission, you warrant and represent that any person appearing or who is identifiable in the Submission consents to the Submission and the use of the Submission as described in these Terms and Conditions. Chase is not responsible for any loss, theft, or damage of any kind to any Submissions you submit to Chase. By submitting a Submission, you acknowledge and agree that Chase may obtain many Submissions in connection with the Site and/or other promotions by Chase and that such Submissions may be similar or identical in theme, idea, format, or other respects to other Submissions submitted in connection with this Site and/or other promotions by Chase, or to other materials developed by Chase. You waive any and all claims that any Submissions and/or other works accepted, reviewed and/or used may be similar, or that any compensation is due to you in connection with such Submissions or other uses by Chase. CHASE RESERVES THE RIGHT, BUT IS NOT OBLIGATED, TO REVIEW AND/OR TO REMOVE SUBMISSIONS AT ANY TIME AS IT DEEMS APPROPRIATE IN ITS SOLE DISCRETION AND THERE MAY BE A DELAY IN POSTING SOME SUBMISSIONS AS A RESULT. CHASE DOES NOT ENDORSE OR GUARANTEE THE ACCURACY OF, AND SPECIFICALLY DISCLAIMS ALL LIABILITY FOR, ALL SUBMISSIONS, INCLUDING POSTS MADE BY EMPLOYEES OR SUPPLIERS WHO ARE NOT AUTHORIZED ADMINISTRATORS OF THIS SITE. THE SUBMISSIONS ARE NOT EDITED BY CHASE NOR DO THEY NECESSARILY REPRESENT OR REFLECT THE VIEWS OR OPINIONS OF CHASE. Chase respects the intellectual property rights of others and we prohibit users from uploading, posting or otherwise transmitting through any application or website offered by us any materials that violate another party's intellectual property rights. When we receive proper Notification of Alleged Copyright Infringement as described below, we promptly remove or disable access to the allegedly infringing material and terminate the accounts of repeat infringers in accordance with the Digital Millennium Copyright Act. Identify in sufficient detail the copyrighted work or intellectual property that you claim has been infringed so that we can locate the material. For example, "The copyrighted work is my content that appears at http://www.mycontentpage.com/item1_qjofkrns123." If multiple copyrighted works at a single online site are covered by your Notification, you may provide a representative list of such works at that site. Identify the URL or other specific location on the application or website provided by us that contains the material that you claim infringes your copyright described in Item 1 above. You must provide us with reasonably sufficient information to locate the alleged infringing material. For example, "The content at the following URL infringes on my copyright http://www.anothercontent.com/item2_hjdsi899." Include a statement by you that the information contained in your Notice is accurate and that you attest under the penalty of perjury that you are the copyright owner or that you are authorized to act on the owner's behalf. Designated Copyright Agent: Amy Scalise, JPMC Legal Department, Mail Code NY1-A425, One Chase Manhattan Plaza, 25th Floor, New York, New York, 10081, Attn: Workflow Manager Phone: 312-732-6910 Fax: 312-732-4172 E-Mail: amy.c.scalise@jpmchase.com. Please note that you may be liable for damages, including court costs and attorneys fees, if you materially misrepresent that content on our website and/or application is copyright infringing. Upon receiving a proper Notification of Alleged Copyright Infringement as described in this Section A, we will expeditiously remove or disable access to the allegedly infringing material and promptly notify the alleged infringer of your claim. We also will advise the alleged infringer of the DMCA statutory Counter Notification procedure described below in Section B by which the alleged infringer may respond to your claim and request that we restore this material. If we receive a Notification of Alleged Copyright Infringement that does not contain all of the information described above, but provides a way for us to contact you, we will promptly follow up with you to request that you provide any information not previously provided. Designated Copyright Agent: Amy Scalise, JPMC Legal Departmen t, Mail Code NY1-A425, One Chase Manhattan Plaza, 25th Floor, New York, New York, 10081, Attn: Workflow Manager Phone: 312-732-6910 Fax: 312-732-4172 E-Mail: amy.c.scalise@jpmchase.com If you send us a valid, written Counter Notification meeting the requirements described above, we will restore your removed or disabled material after 10 business days but no later than 14 business days from the date we receive your Counter Notification, unless our Designated Agent first receives notice from the party filing the original Notification of Alleged Copyright Infringement informing us that such party has filed a court action to restrain you from engaging in infringing activity related to the material in question. Please note that if you materially misrepresent that the disabled or removed content was removed by mistake or misidentification, you may be liable for damages, including costs and attorney's fees. C. Repeat Infringer Policy: In accordance with the Digital Millennium Copyright Act (DMCA) and other applicable law, we will terminate access to our website or application by users who are repeat infringers. We may also at our sole discretion limit access to our application and/or website and/or terminate the memberships of any users who infringe any intellectual property rights of other, whether or not there is any repeat infringement. UNDER NO CIRCUMSTANCES WILL CHASE BE LIABLE FOR ANY LOST PROFITS, LOST OPPORTUNITY OR ANY DIRECT, INDIRECT, CONSEQUENTIAL, INCIDENTAL, SPECIAL, PUNITIVE, OR EXEMPLARY DAMAGES ARISING FROM YOUR SUBMISSION OR OUT OF ANY USE OF OR INABILITY TO USE THIS SITE OR ANY PORTION THEREOF, REGARDLESS OF WHETHER CHASE HAS BEEN APPRISED OF THE LIKELIHOOD OF SUCH DAMAGES OCCURRING AND REGARDLESS OF THE FORM OF ACTION, WHETHER IN CONTRACT, WARRANTY, TORT, (INCLUDING NEGLIGENCE), STRICT LIABILITY, OR OTHERWISE. You release Chase, and its parent, affiliate, subsidiaries, officers, directors, agents, employees, service providers, sublicensees, and all others associated with the development and execution of the Site, from any and all liability with respect to, or in any way arising from, the Site, including, but not limited to, any suspension, modification or cancellation of the Site, technical issues, Submissions received or posted, including liability for personal injury, death, damages or loss. Furthermore, by accessing, posting, uploading or submitting content to, or otherwise using the Site, you agree to indemnify, defend and hold harmless Chase, its agents, service providers and their respective parents, and its and their subsidiaries, affiliates, successors, licensees, and assigns, and each of their directors, officers, agents, equity holders and employees, from and against any and all claims, losses, costs, damages, liabilities and costs and expenses (including reasonable attorneys’ fees and costs) which arise out of any breach of these Terms and Conditions or your Submissions.
. Button link closes overlay.
. Button link opens new window.